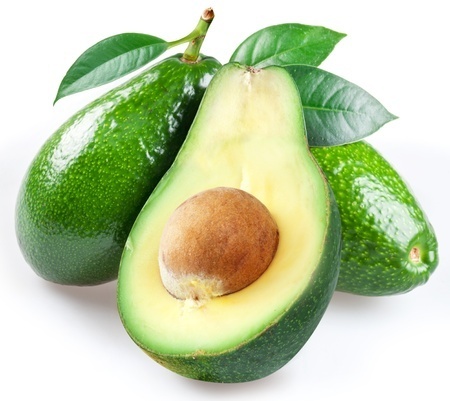 The word "avocado" comes from the Spanish aguacate, which in turn comes from the Nahuatl word āhuacatl , which goes back to the proto-Aztecan *pa:wa which also meant "avocado". Sometimes the Nahuatl word was used with the meaning "testicle", probably because of the likeness between the fruit and the body part. It is known as "butter fruit" in parts of India and goes by the name bơ in Vietnamese, which is the same word that is used for butter. In eastern China, it is known as è lí (鳄梨; 鱷梨; 'alligator pear') or niú yóu guǒ (牛油果; 'butter fruit'). In Taiwan, it is known as luò lí (酪梨, "cheese pear"). In 2016, world production of avocados was 5.6 million tonnes, led by Mexico with 34% (1.89 million tonnes) of the total, (see table). Other major producers were Dominican Republic, Peru, Colombia, and Indonesia, together producing 30% of the world total (table).